The following are resources for doctors who can help you work through many of the protocols in this book. You can visit our team at The UltraWellness Center in Lenox, Massachusetts. 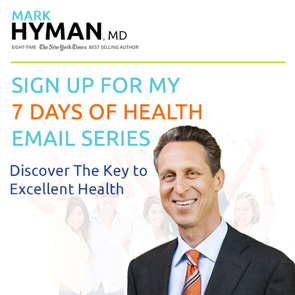 Go to www.ultrawellnesscenter.com or call (413) 637-9991 for more information on how to make a personal appointment with Dr. Hyman and his specialized team of doctors, nurses, and nutritionists. You can also use the resources listed below to find additional recommendations. I am the chairman of the board of IFM, a 501c3 nonprofit whose mission is to serve the highest expression of individual health through widespread adoption of functional medicine as the standard of care. The goal of the ABIHM is to establish standards of care in the application of the body of knowledge encompassed by integrative holistic medicine, so that these concepts can be fully integrated into medical practices, education, health planning, and research. The mission of the American Academy of Environmental Medicine is to promote optimal health through prevention, and safe and effective treatment of the causes of illness by supporting physicians and other professionals in serving the public through education about the interaction between humans and their environment. An educational organization training physicians and health care providers in integrative and functional medicine, with specialization in detoxification and chelation. You can get the tests outlined in this program through the following labs. Work with a doctor trained in integrative or functional medicine to get the tests you need. A resource for most conventional laboratory testing needs. Most conventional laboratory testing is available here. Innovative nuclear medicine spectroscopy for the assessment of lipid particle size and improved accuracy in assessing cardiovascular risk factors. This test is also done through LabCorp. Specialized testing for detecting chronic infections (such as Lyme disease) with PCR technology. Experts in testing for heavy metal toxicity and other nutritional and metabolic disorders. Leaders in nutritional and metabolic testing. Offering genetic, functional, metabolic, and nutritional testing. Saliva testing for adrenal function, stress hormones, and more. Testing for gluten and celiac disease.